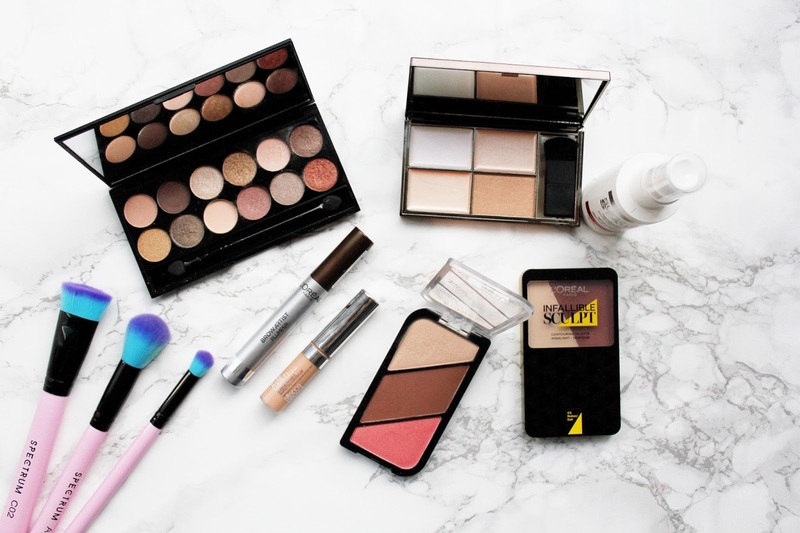 Who doesn't love a make-up haul? 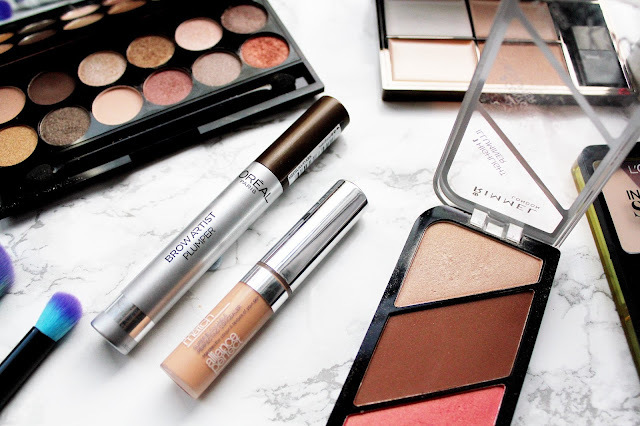 I seemed to have added up some Boots & Superdrug points and with the 3 for 2 offers on when better to buy a few new products to add into my make-up routine. When I first heard about this palette is was so excited as who doesn't love a three in one product? Rimmel have always done make-up so well and this palette doesn't disappoint. It comes in two shades #002 and #003 the palette I picked up was #003 which I felt was more suited to my skin tone. This palette is great for contouring, highlighting and adding blusher and all the shades work well together. I love using a Real Techniques contour brush for contour, Real Techniques Setting Brush for highlight and the Real Techniques fan brush for blusher. You can buy the brushes I use here, here and here. This is one of the best beauty purchases I've made in a long time. I've used this palette everyday since picking this up a couple of weeks ago. The photo above is just some of my favourite swatches from the palette, as you can see it's really pigmented and the colours are stunning. I'm still only on my first couple of uses with the palette and I have to say I enjoy the contour side more that the highlight side to contour my face. I think cream products are a massive must-have on the high street right now so you'll be seeing a lot more products like this on the high street. I've heard so much about this product from L'oreal and I'm so glad I bit the bullet and picked this up. My favourite brow product to use is the Benefit Gimme Brow (which I absolutely love) but at £18.50 a time it's very expensive. This product from L'oreal does pretty much the same job and it costs a fraction of the price at only £5.99. 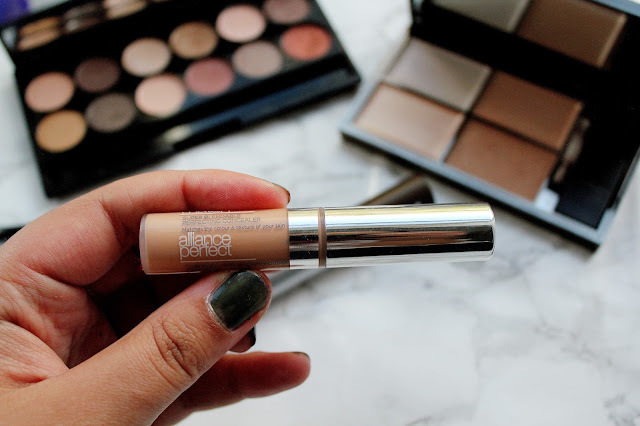 I have never tried any concealers from L'oreal and I have to say I'm not that impressed with this one. It's great for covering spots, just not for the under eye area. Sleek does it again, it's not just eyeshadow palettes they get SO right it's highlighting palettes too. 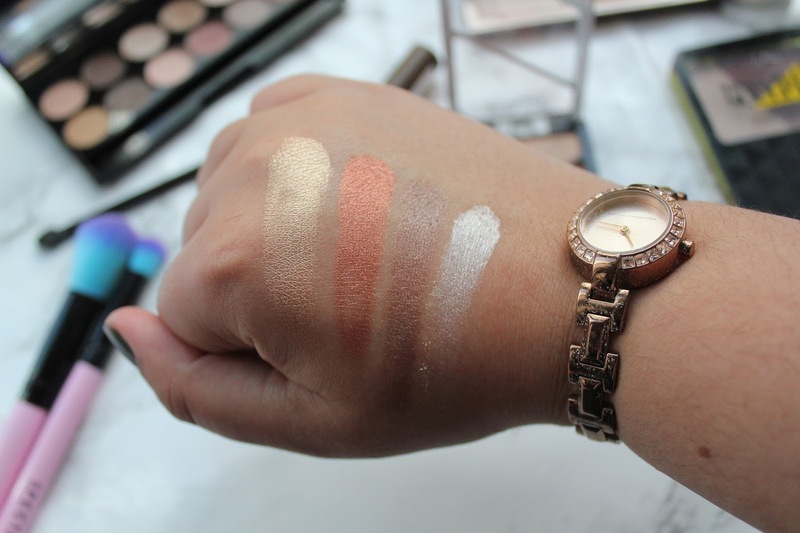 This palette is a perfect highlighting palette for those of you with olive/tanned skin tones. 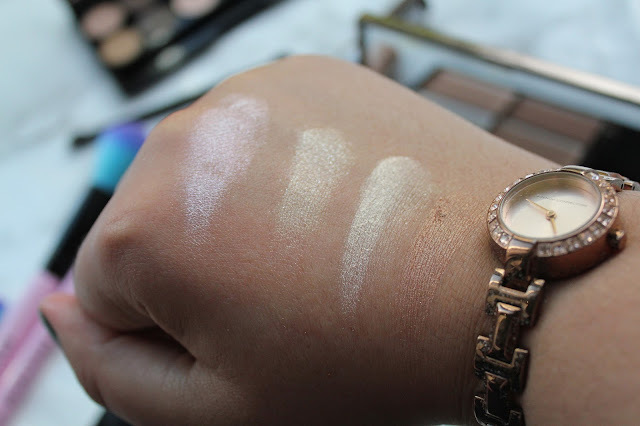 I love the champagne shades and they work so well as a brow bone highlight. Setting sprays have only really just launched onto the high-street drugstore scene. There's setting sprays by Make-up Revolution, L'oreal and NYX and now one from Maybelline. 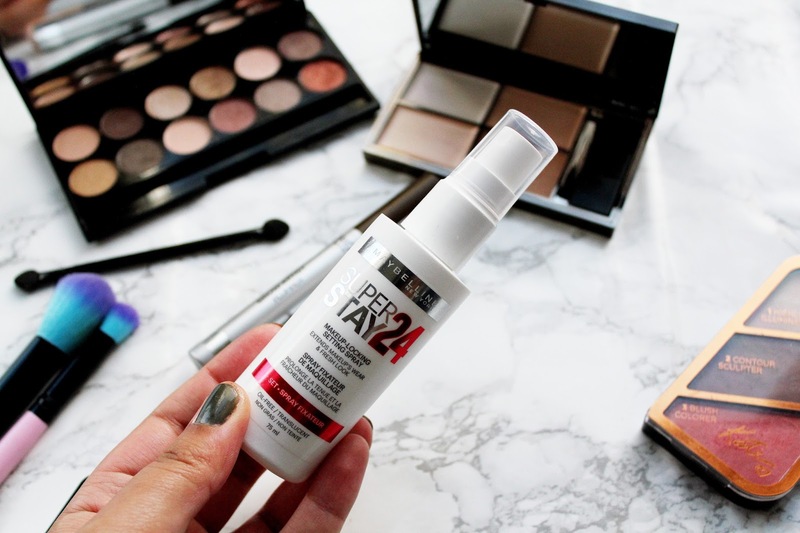 I am a massive fan of the Urban Decay setting spray and that stuff works like a dream, but at £21 a time to replace it it's time to look for a drugstore alternative. So far this works reasonably well for about 8 hours but once I've got in from my busy day my eyeshadow is creased which has never happened with the Urban Decay setting spray. I really like this product though and I think it's great for if you don't want to use an expensive product (such as the Urban Decay version) everyday. Have you tried any of these products? Do you have any drugstore recommendations? I don't know why but I always thought the Sleek Highlight Palette was cream not powder! I need to pick this up asap, it's gorgeous!! 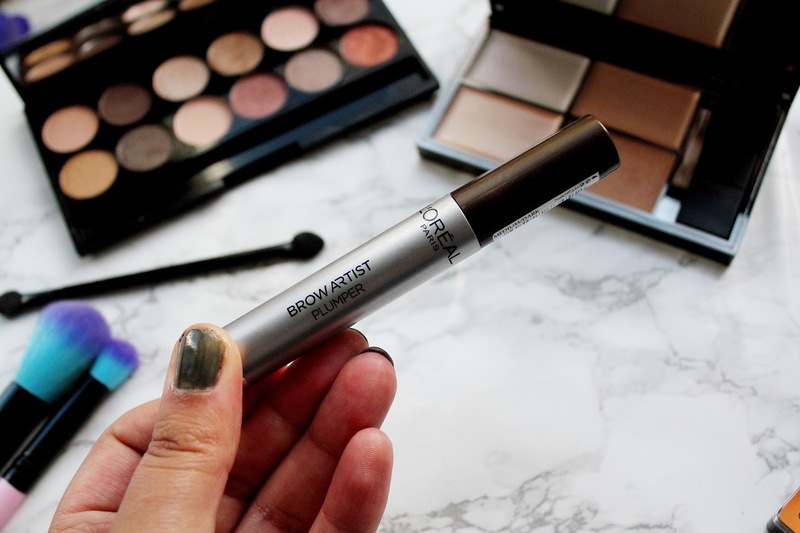 Love the sound of the L'Oreal Brow Plumper. I have the Maybelline Spray and find it works really well. 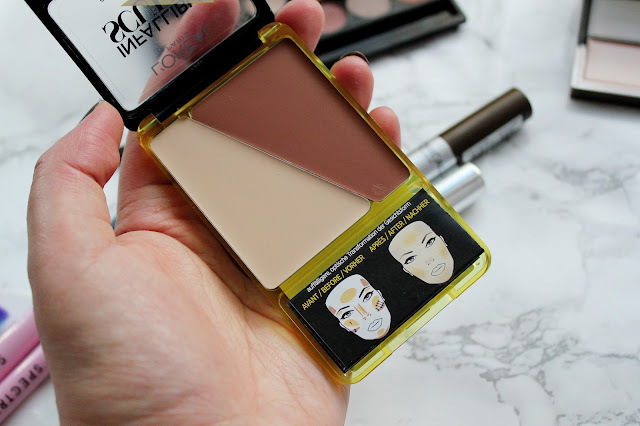 I love those contouring kits! 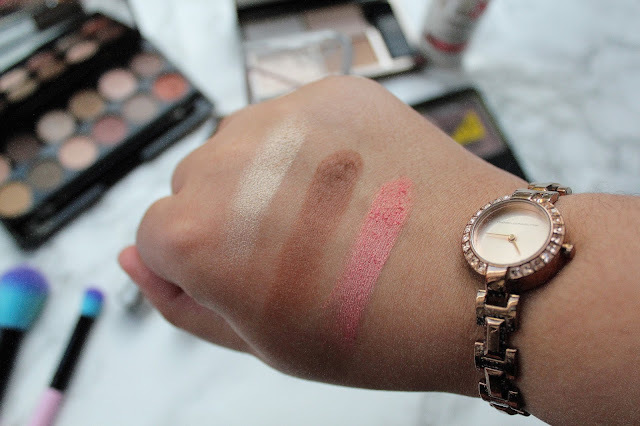 The sleek palette looks mazing, I love that coppery shade you've swatched in the middle.